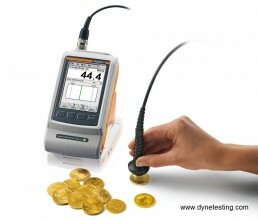 Dyne Testing offers a handheld instrument for electrical conductivity measurement of non-ferromagnetic metals. The electrical conductivity is an important material property that not only informs about how well a metal conducts electrical current but also provides information about its composition, microstructure or mechanical properties such as hardness, strength, heat damage and material fatigue of metals. The SIGMASCOPE® measures the electrical conductivity using the eddy current method according to DIN EN 2004-1 and ASTM E 1004. 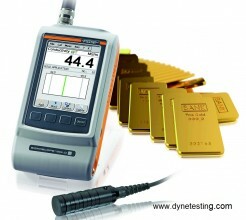 The phase-sensitive measurement signal evaluation enables a contact-free determination of the electrical conductivity, for example, under paint or synthetic coatings of up to 500µm in thickness. 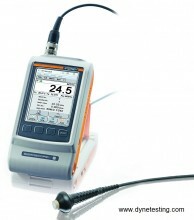 This also minimises the influence of surface roughness. Upto 16 measurements per second. For further information on the product and for additional accessories please refer to the Downloads tab, or for a quotation please contact us.